A public university under the supervision of Ministry of Agriculture and Rural Development, Thuyloi University is recognized as the leading technical university in the field of water resources. It was founded in 1959 with the first official name Academy of Water Resources and Electricity, and was assigned with main responsibilities for training and research in water resources and hydropower satisfying the country’s needs. In 2013, the official English name of the University was changed from Water Resources University (WRU) to Thuyloi University (TLU). Due to the increasingly diverse human resource needs, TLU has changed from only focusing on narrow specializations of water sector to multi-discipline curricula, including water resources, hydropower, mechanics, transportation, construction, water supply and sewerage, information technology, information systems, software engineering, natural resources, environment, disaster management, economics and climate change at all levels from junior college to post-graduate. Currently, TLU is conducting 28 underprogram programs, 21 master's programs and 11 doctoral programs. New programs are to be opened in coming years. Besides, since 2006, TLU has imported curricula from prestigious universities in USA, such as Colorado State University and Arkansas University, with all the syllabuses fully translated and applied. Also, two advanced programs have been opened in Water Resources Engineering and Civil Engineering, which are taught completely in English. TLU has been a consistent source to provide competent human resources for government agencies, including Ministry of Agriculture and Rural Development, Ministry of Transportation, Ministry of Construction, Ministry of Natural Resources and Environment or their provincial Departments and Institutes. Engineers who graduate from TLU can also find themselves to work for construction companies, consultant companies, project management unitsin water sector or hydropower, or become economic, natural resources or social specialistsor lecturers for domestic or international institutes. It is recorded that over ninety percent of TLU graduates can get a good and stable job within their majors after three months since leaving the University. Thuyloi University’s mission is to develop highly competent human resource, perform scientific research, develop and transfer advanced technology in fields of science, engineering, economics and management, with significant focus on water resources, environment and disaster management, making contribution to the industrialization, modernization and sustainable development of Vietnam. Thuyloi University is a leading university in the fields of water resources management, hydropower, natural resources, environment and disaster management. TLU aims to become one of the leading multi-discipline university in Vietnam with a high level of ability to integrate into tertiary education systems in the region and the world. TLU’s educational philosophy is "Learning for future career." The educational philosophy aims to remind students that it is critical to identify their personal goals before starting anything. The early determination of personal goals is the first and foremost factor that affect the success of students in, in this case, acquiring necessary knowledge, skills and virtues for future career. The success of students in their professional life greatly depends on how they perform at university. With clearly-defined goals and the right attitude that one has to learn for oneself and one’s own future, students will be better motivated in their study and make an effort to find suitable methods to reach their defined goal. Currently, Thuyloi University has four campuses. The main campus, located in Hanoi, is situated on nearly 8 hectares of land, including 6,700 m2 of lecture halls, 5,713 m2 of laboratories, 8,900 m2 of dormitories, 8,222 m2 of physical education area and the rest area is dedicated for administrative offices. This campus boasts 90 classrooms and lecture halls fully furnished with projectors, 10 independent laboratories and 6 testing grounds equipped with specialized experimental devices and machines, in addition to 5 dormitory buildings, accommodating more than 40% of undergraduate and postgraduate students, one of which has been opened recently and considered as “modern apartment building for students” and one of the best dormitories in Hanoi. The second campus is located in Ho Chi Minh City with an area of 2.4 hectares, providing training and research for those who want to enjoy the active study and living environment in the most exciting city in the south of Vietnam. A branch of TLU is also situated in Ninh Thuan province, covering 0.6 hectare, which acts as a training and research center for TLU students and staffs in the middle of Vietnam. Since 2017, TLU has opened a new campus in Hung Yen province, 50 km far from the main campus to the southern east. 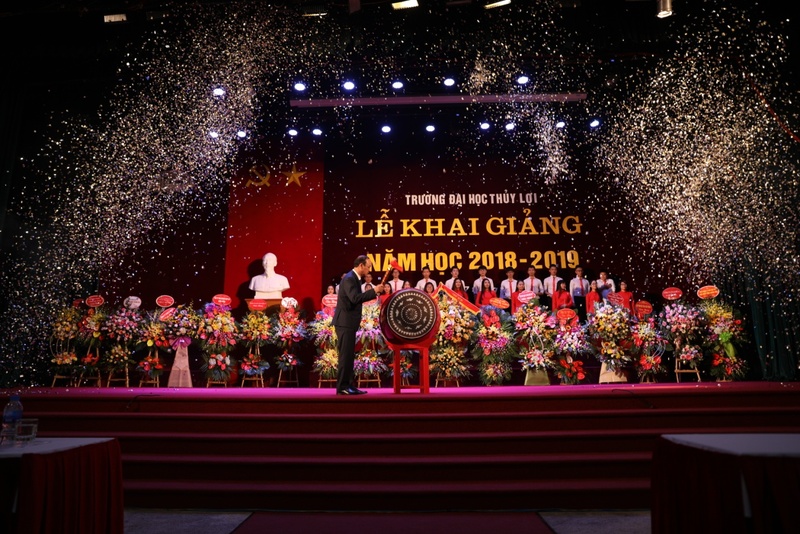 As broad as 57 hectares, the new campus boasts one of the best kinds of facilities and infrastructure for a technical university in Vietnam, ready to upgrade the quantity and quality of training and research practices in TLU to an internationally competitive level.